A Picture is Worth a Thousand Words About Heartworm. 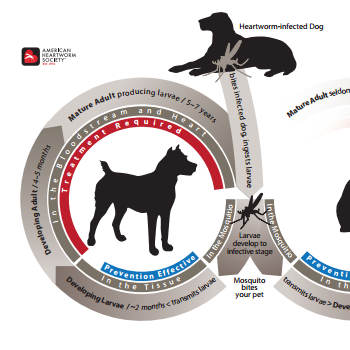 A clear understanding of the heartworm life cycle is vital in getting clients on board with year-round prevention, and pet owners who understand the rationale for your heartworm prevention and treatment recommendations are more likely to comply. Understanding, however, may require more than a verbal explanation of how heartworms are transmitted and develop. 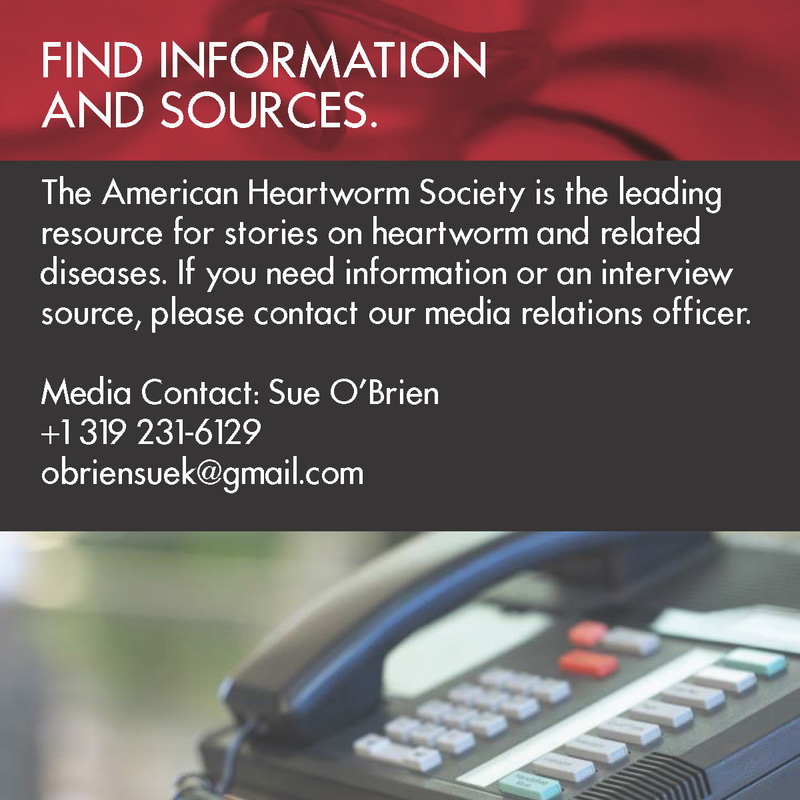 Recognizing that many people learn and retain information better when they can see it, the American Heartworm Society (AHS) has developed a series of heartworm life cycle illustrations for Heartworm Awareness Month. These professionally designed illustrations are available in two versions—one for pet owners (shown below) and one for veterinarians and clinic staff. These illustrations can be downloaded for FREE, and are suitable for use in client handouts, on your clinic website or Facebook page, in staff training materials, or to print and post in the exam room. These FREE downloads are available in color and black-and-white versions in both PDF and JPEG formats. The life cycle diagrams are based on the most recent AHS Canine and Feline Guidelines. You can download the Guidelines and learn more about other resources available by clicking a link below.